Sean Clarke is a dandy of a vampire who has just been dumped by his Maker after five hundred years of gallivanting the globe together. In Edwardian London, he finds himself wanting to do a bit of shagging in an attempt to soothe broken heart. 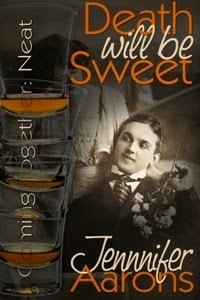 He soon finds himself smitten by a young socialite, Hannah Dorchester. However, Hannah is different than any other creature with whom Sean has associated. Will he survive their trysts? death can be anything satan wants.